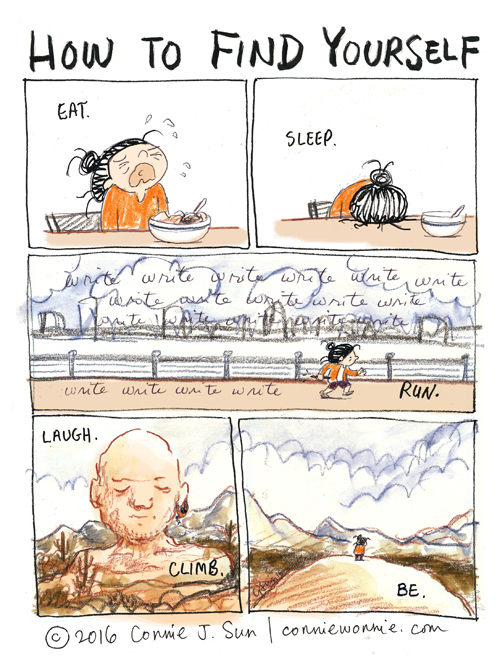 Eat, sleep, write, run, laugh, climb, be. Sequence may vary. Beautifully rendered! We "find ourselves" by simply continuing to move forward, putting one foot in front of the other, hour after hour, day after day. Thank you.